Hello! 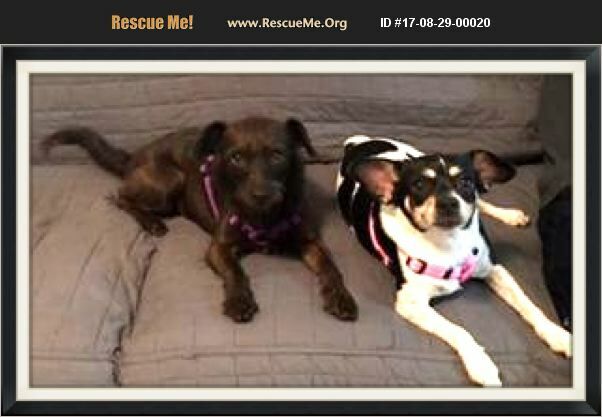 We are Lulu (black and white) and Frankie (Brown wire-haired), an extremely loving bonded pair. We are about 5 years old, both females and spayed. We love going on walks together and spend most of our day lounging and cuddling. We love attention and being pet. We get along with all types of people from large adults to small children. Our current foster family has cats who we are getting used to but still a little confused by their weird bark. We don't mind meeting dogs either but can be shy at first. Mostly we love attention and tummy rubs from humans. Our foster mom found us after somebody left us down in Homestead. We waited over 1 month but our family never came back. Our foster parents couldn't believe how easily we acclimated to our luxurious indoor life. We much prefer it to the outdoor heat! Especially since our favorite past time is burrowing into blankets with each other and taking a long nap. We enjoy car rides and often try to sit on our foster parents laps because we cannot get enough of humans! When Frankie is excited she likes to put her two front feet up like a meerkat and I like to bounce around like a bunny, especially when we hear 'Wanna go for a walk?' We are hoping to find our forever home and think we would be fantastic for anyone looking for low maintenance companions. See for yourself and come meet us- we love visitors!